Inspired by the legendary Dogtown Z-Boys and the Los Angeles skating scene of the 1970s, Dogtown owner and former California resident, Bobby Manere, brings West Coast street meat to the CT area. A youthful, edgy descendant of The Original Swanky Frank’s—Norwalk’s road-side hotdog spot for over 60 years—the Dogtown food truck combines quality dogs with a bold, badass attitude. When it came to visually representing these two elements, we channeled the West Coast skate culture for which the truck was named. 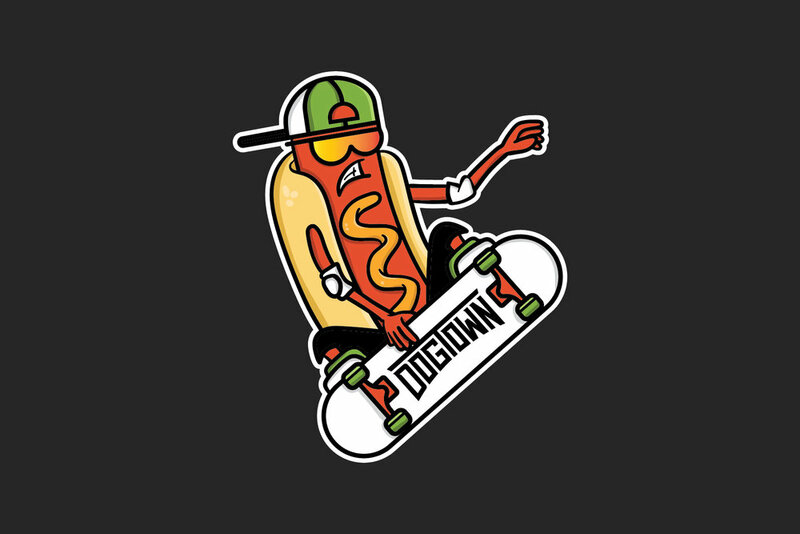 Taking a very literal approach, we designed a fun, energetic brand mark of a hotdog riding a skateboard, which has proven to be an unforgettable element of the Dogtown identity. 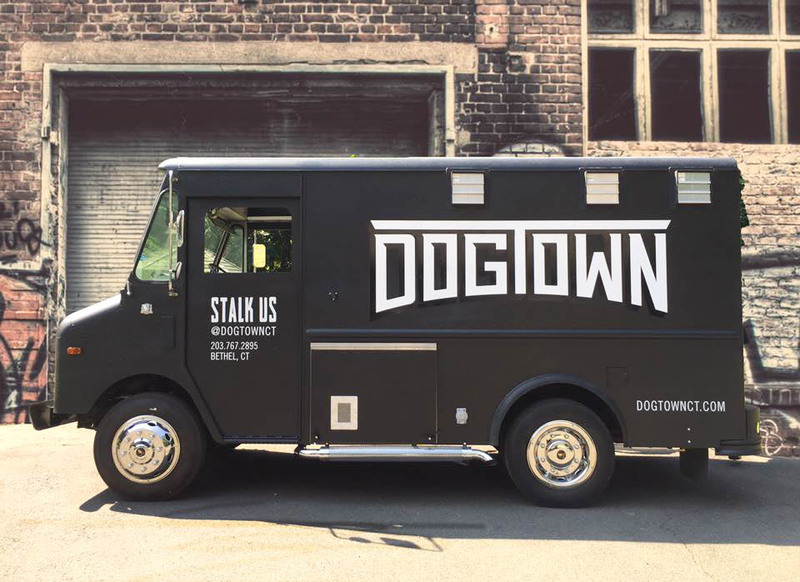 Having experienced great success on the road with this mark, Dogtown has since achieved the ultimate food truck goal by opening their very own drive-in brick and mortar in Milford, CT.